In our travels around the world, we are constantly looking out for new ideas for sharing and enjoying Scotch whisky. 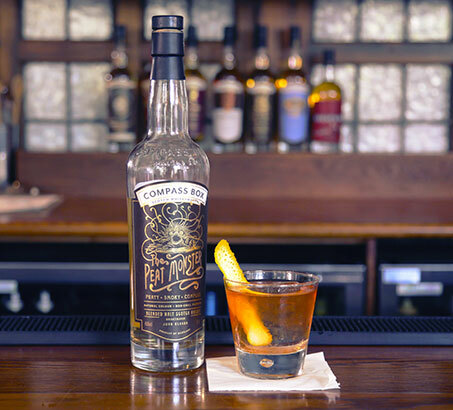 Given the breadth of styles in the Compass Box collection, we can really embrace all the ways you can use Scotch whisky. Here, we share ideas with you to inspire the next time you’re out with friends, entertaining at home, or just celebrating the end of the day. A modern-day classic, The Penicillin uses two different scotches with a spicy honey-ginger syrup and the fresh citrus zing of lemon to create a delicate balance. 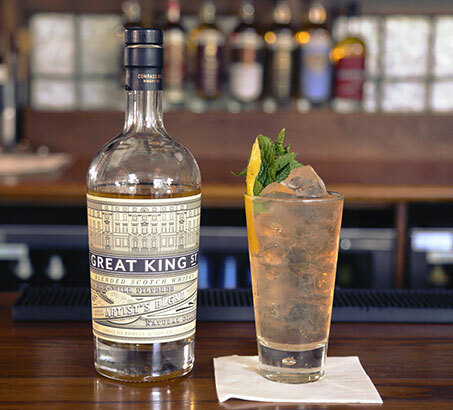 A lost classic, the Mamie Taylor is a Scotch whisky cocktail that is super-refreshing, simple and quick to make. Serve this in the warmer weather months, using either our Artist’s Blend or Glasgow Blend. 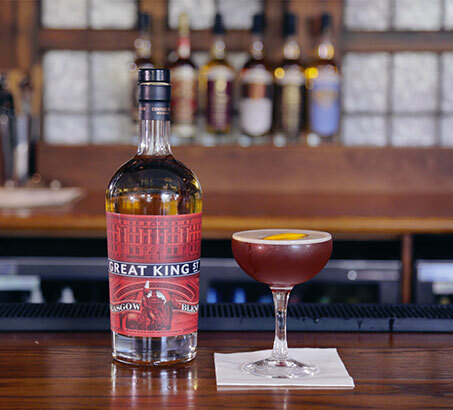 We believe a well-made Blood & Sand needs to use a Scotch whisky that will cut through and add its signature to the drink. Glasgow Blend is brilliant for this. This is more like what a Blood & Sand must have tasted like when it first arrived in the early 20th century. 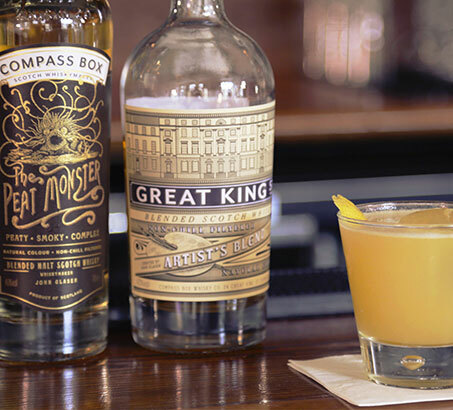 For lovers of both peaty-smoky malt whiskies and the classic Old Fashioned cocktail, this drink will amaze and delight! It may sound wrong, but it is oh, so very right. 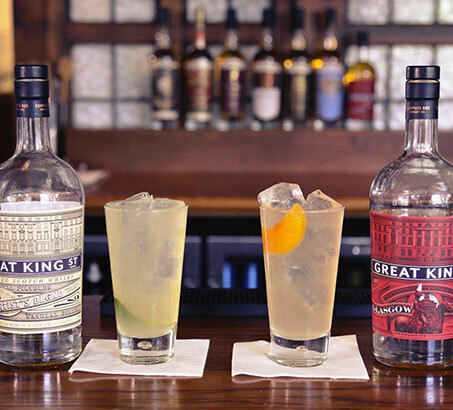 The classic Scotch & Soda, or Scotch Highball, has been a refreshing way to enjoy Scotch whisky going back to the late 19th Century. The Japanese have elevated the service of this drink to high art. Here we adapt that approach for you. 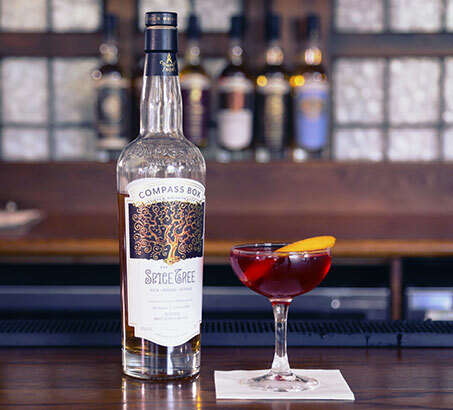 This unholy alliance of Scotland (the whisky), France (the cask heads) and Italy (the vermouth) is a twist on the Boulevardier, a Prohibition drink that first appeared in Harry McElhone’s 1927 guide ‘Barflies and Cocktails’ and which used Bourbon instead of Scotch. Invigorating, rich and complex. Copyright ©2016 Compass Box Delicious Whisky Ltd. Site design by United Creatives.